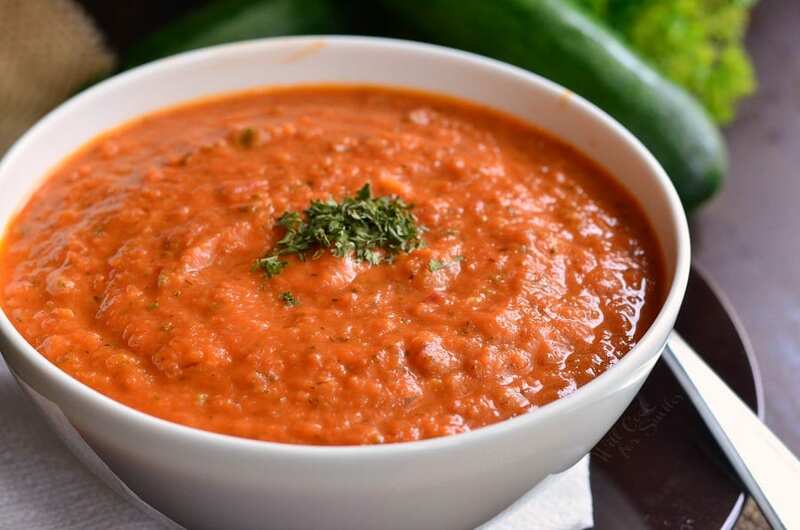 Delightful and easy tomato soup made with addition of fresh zucchini. 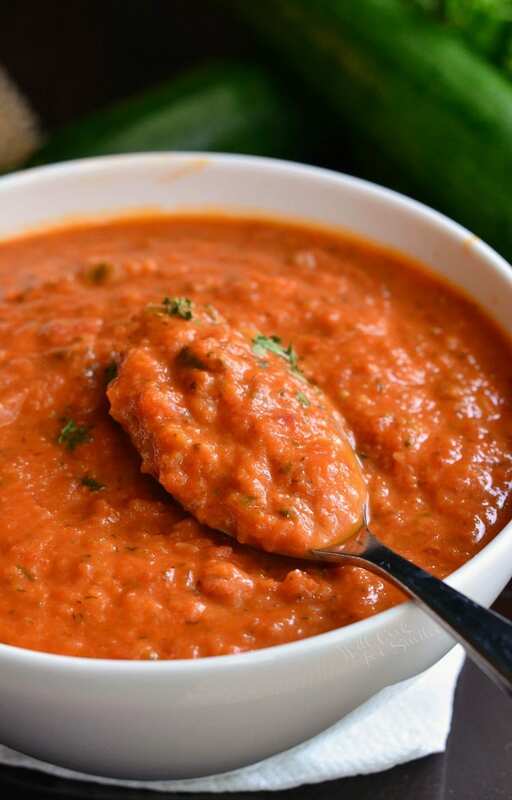 This Zucchini Tomato Soup is easy and quite comporting. It’s creamy and made with some fresh grated Parmesan cheese. Serve it with some grilled cheese sticks for a fun lunch. I can’t even describe how excited I’ve been lately. My super-picky-eater son has been TASTING NEW FOODS! That’s right, he’s been eating new food and a lot of it. He’s been eating eggs in an egg salad and fried egg sandwiches. He’s been eating avocados in guacamole. He’s been asking for all kinds of different toppings for his hot dogs. There has been bell peppers, lettuce and tomato, chili, honey mustard, and a few other ideas he’s come up with. Last week, he tried a cheeseburger for the first time and sliced turkey and chicken. When it came to sliced deli meats, he actually did not like it at all but he loved everything else he’s tried so far. I’ve been so excited about all the new things he has been eating, I was actually thinking of making him his own Instagram account (that I control, of course). I thought he might have fun sharing his new foodie adventures. This new food acceptance is all due to a video game. I bet you didn’t see that one coming, huh? A couple of years ago, I bought him a math game for LeapPad when he was starting to learn multiplication. It’s a cooking math game where he “runs” a food truck and he has to learn new recipes to serve his guests. I thought it would be a fun educational game that might show him that trying new foods can be fun. I never imagined just how well that game will eventually work. Last year, he tried two new recipes from the game and that is how he fell in love with Sloppy Joes. Then, he kind of forgot about the game for a few months. Recently, he picked up the game again and it’s been an amazing avalanche of new foods! Never did I imagine that my little plan for this game would work THIS well. After I stopped vigorously blinking in disbelief, I asked him about five times if that’s what he really wanted and it sure was. I didn’t waste any time to make him some soup and, like with anything else, I threw in a little extra veggies and tried my best to make it a tasty experience. 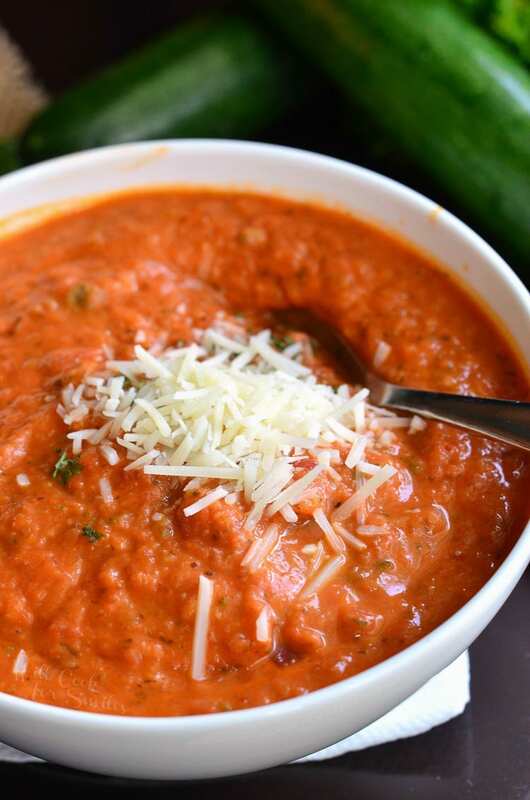 Grilled cheese dipping sticks make a perfect pairing for this soup. 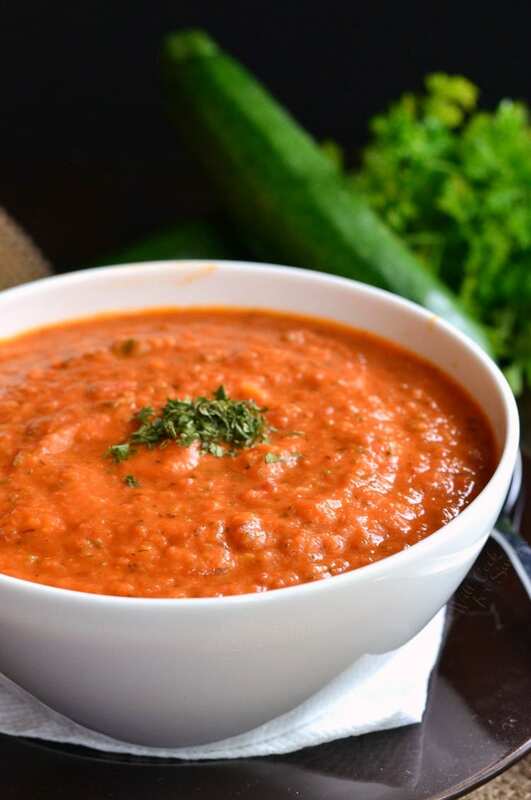 Everyone from children to adults will enjoy this Tomato Zucchini Soup with some grilled cheese sticks. Asiago Broccoli Cheese Soup – This comforting, homemade soup is made with two flavorful cheeses, sharp white cheddar cheese and Asiago cheese. Chicken Meatball and Orzo Soup – twist on a classic Chicken Noodle recipe, but this particular one has much more flavor and it’s much more fun! It’s a delicious soup made with chicken meatballs, veggies, and orzo pasta. 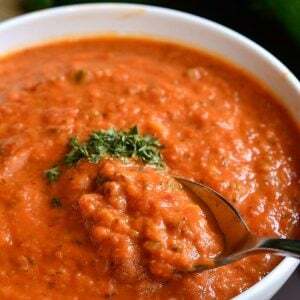 Cauliflower Cheese Soup – This simple cauliflower cheese soup takes only about 40 minutes to make and you will be enjoying this cheesy, creamy, hearty soup. Dice onion and zucchini into small cubes and set aside. Preheat a pot over medium heat. Add canola oil to the pot. Add diced onions to the pot and saute until transparent. Add diced zucchini, mix and saute for a couple of minutes. 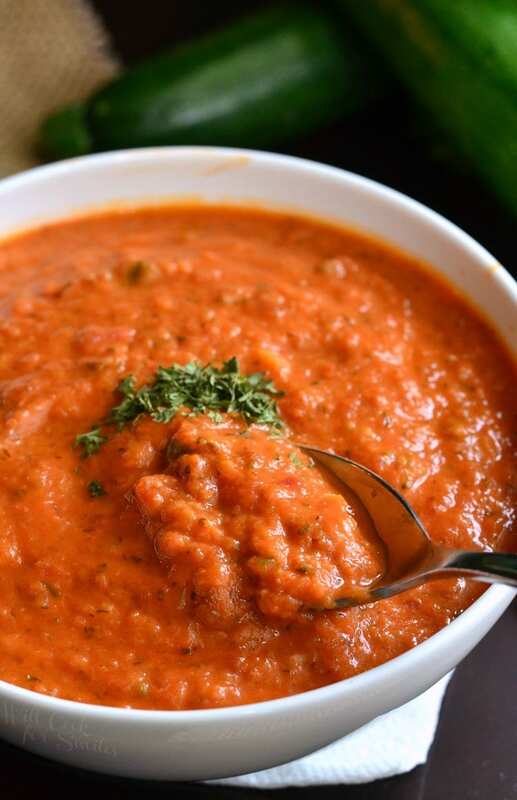 Add the entire content of the canned diced tomatoes. Add sugar, salt, and red pepper flakes and stir well. Simmer for a few minutes and then add warmed chicken stock. Lower heat to medium-low. Stir, cover, and cook for about 30 minutes. Stir once in a while. Add fresh basil and cook for a couple more minutes. Place the pot back on the stove, still on medium-low, and stir in heavy cream and freshly grated Parmesan cheese. Taste to see if you need to add more salt. Cook for just a couple more minutes. Take off heat and serve. I would be careful substituting stevia amount exactly because it has a very sweet flavor. 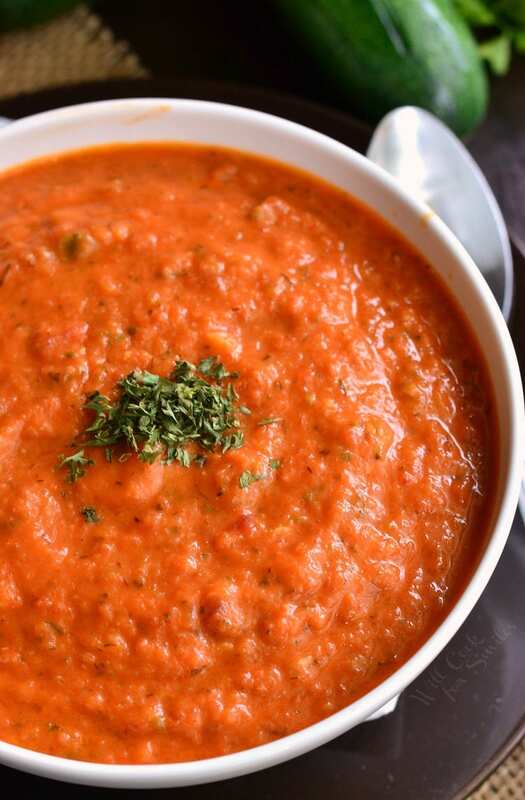 Start with half the amount of stevia and taste to see if you have enough to cut the acidity of tomatoes. Carb amount will go down but there is only 1 tbsp of sugar in the pot of soup, so it won’t go down an extreme amount. The whole pot will go down by about 8g.